1st Place: Tournament Directors Andy Buss and Mark Fennell finished the season on a high note. After finishing second place at Austin Lake, they weighed 11.37 pounds, the only team to weigh double digits, claiming the top spot and pocketing $712. The high finishes bumped them all the way up to third place in the Standings. In addition to the winnings though, the team qualified for the Lock-n-Haul incentive money: another $100! The team made a long run on Lake Michigan: 38 miles one way. “We wanted to get away from the crowd and thought this would be sufficient,” Buss admits, but it was not the case. They were surprised and disappointed to find three other boats in their area early in the day and they felt this impacted the bite. Just like the river, the bite was slow terribly tough, but they did have some early success. After 20 minutes of fishing, a 14 inch largemouth bit an Xtreme Bass Tackle tube in the Muskegon Goby color scheme paired with a D’s Lures ¼ ounce tube jig. Nearly 30 minutes later, a 2 ½ pound fish fell for the tube and entered the livewell as well, but then the bite stiffened. It took nearly an hour to get another bite, again on the tube, this fish was over two pounds. After another 30 minutes Fennell caught a 14 inch fish on a Reactions Innovations Skinny dipper complimented with a D’s Lures swim jighead. While it may seem like a steady bite, it was much worse than anticipated. They only connected with two additional short fish. “We expected to catch 10-15 keepers,” Buss reveals, and with just four fish and minutes remaining, things looked bleak. With less than five minutes remaining, their biggest fish, a 2.79 pound largemouth, was tricked by the tube. “When we were ready to head back to the ramp, we thought we had a shot to be one of the last teams in the money. We never imagined we had a shot to win,” Fennell admits, “But we are not giving it back!” Sometimes it is not about being better than everyone else, rather it is a matter of stinking it up less than everyone else. Areas that held fish were small points with submerged rock piles. The fish were eating crawdads, evident by several crawdads regurgitated in the livewells. 2nd Place: A streak never seen before in the R & B, Greg Mangus and Kevin Fletcher logged their seventh consecutive top 5 finish (this includes last year’s classic). 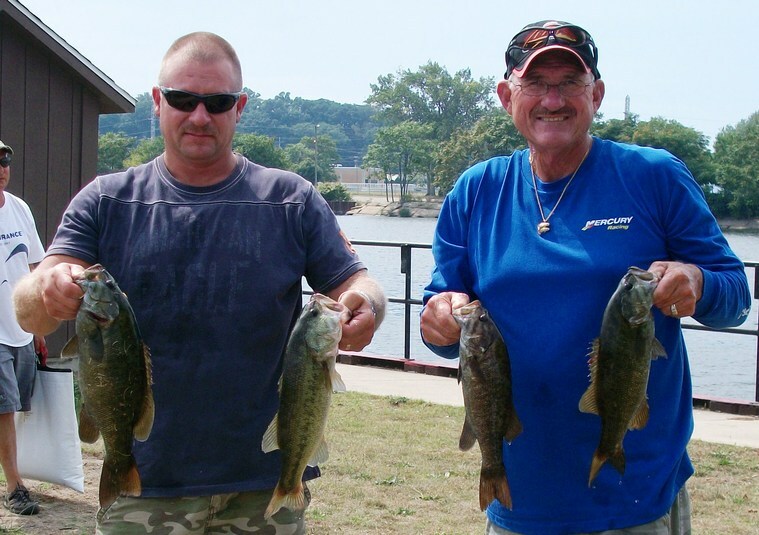 Their 9.99 pound limit won them $452 and this was complemented with the second biggest bass of the day, a 3.47 pound smallmouth, which earned them another $90. Thus, their day’s catch awarded them $542. Like everyone else though, they struggled to put fish in the livewell. Fletcher reveals, “We began down river thinking that we could get some bigger fish, but at noon we had just one.” That one fish was fooled by a black/blue Bubba jig. It was at this point they shifted their attention to just salvage the day by targeting smaller keepers upstream. But this was not happening either. They flipped Mango jigs in the Okeechobee craw color pattern into wood along the shoreline. They connected with two additional keepers in short order but then struggled until the final minutes. With 20 minutes remaining, they caught their fourth keeper, and then in dramatic fashion, with just minutes remaining, Mangus set the hook and muttered the words, “If this is a bass, it’s a good one!” In fact it was the second heaviest fish of the tournament. After tossing this fish in the livewell, they hustled back to the ramp. Upstream they covered a great deal of water focusing their attention on current breaks, eddies, and any deeper water they could find. Most of their fish came on Bitsy Bug jigs, although a few were also caught on green pumpkin tubes rigged with a D’s weedless tube jig and green pumpkin split shot worms. The eve of the tournament he switched out his fluorocarbon with 8 and 10 pound monofilament. He theorizes, “Fluorocarbon is so much heavier and in the current it sinks at a faster rate causing a larger bow in my line before setting the hook. The monofilament is lighter, thus a slower sink rate and less of a bow.” He never lost a fish in the tournament. 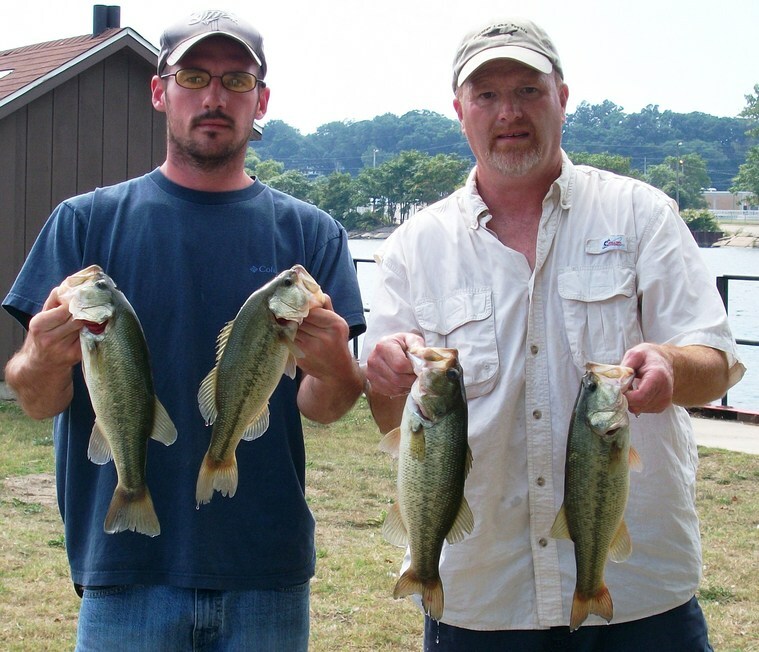 Their biggest five fish weighed 9.84 pounds which won them $332. 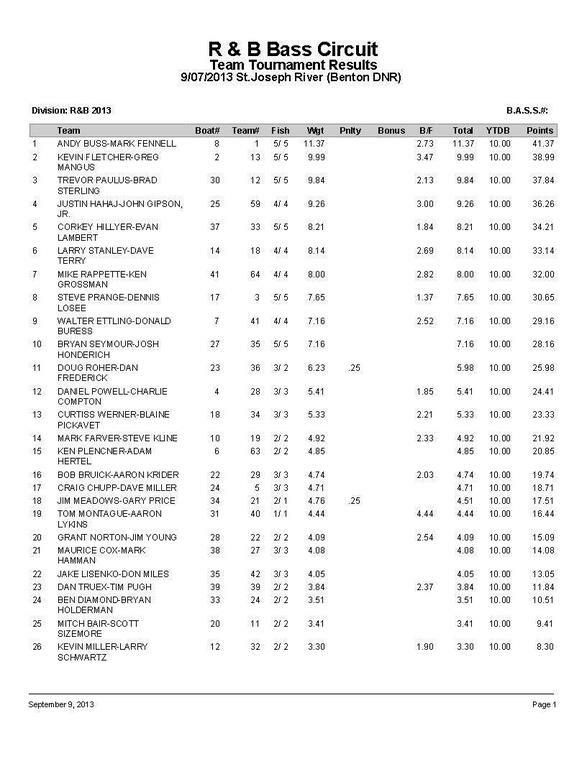 4th Place: Justin Hahaj and John Gipson, Jr. are always the favorites on this stretch of the river. Few have the knowledge or experience here as they. With that said, Hahaj shares an interesting take on the fishery and tournament day. river, but when the tournament began, they had all moved out to the pier heads or the lake. “These fish [on the pier heads] were just too difficult to catch. Between the big waves, depth, and pier fisherman, it was nearly impossible. We began here and caught one, but hooked nearly a dozen more and lost everyone of them. 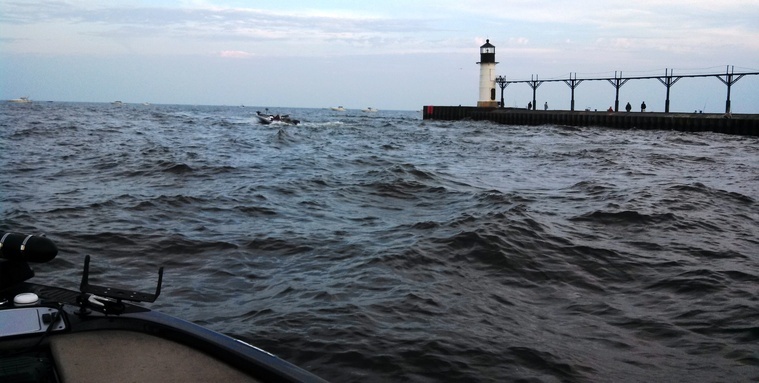 The pier fishermen actually have the best odds because they are using live bait.” To add insult to injury, they witnessed a pier fisherman net more than a handful of 5 pound smallies and kept every one of them for a fish fry. On the pier heads they threw tubes, but switched gears because, “All that was left for us [participants] were the river fish.” Here they threw beaver style baits to docks. The bite was so tough they only had two fish with 10 minutes left, and it was at this time they exploited their biggest advantage: “We fished while everyone else seemed to be loading their boats,” Hahaj joked. 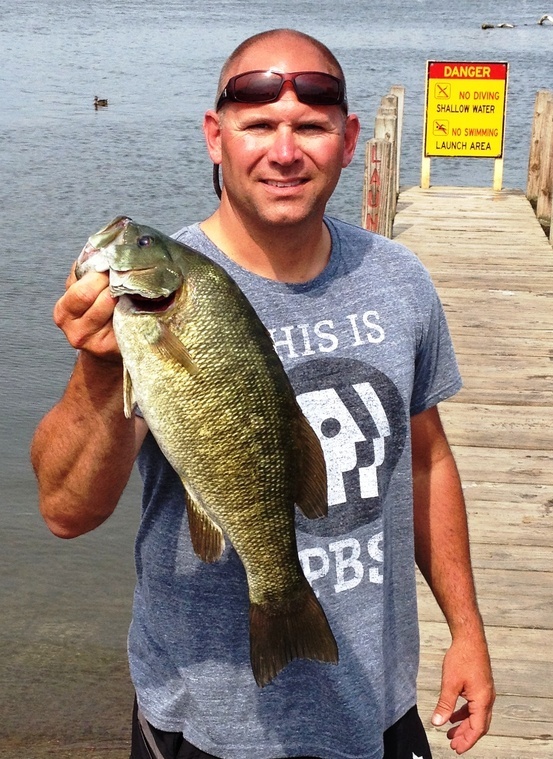 With an audience, they landed two keepers in the final minutes, including the C Flash big bass, a 3.00 pound smallmouth, from under the first dock next to the launch. Thus they only weighed four fish, but they weighed 9.26 pounds and took home $238 in addition to their C Flash crankbaits. 5th Place: Corky Hillyer and Evan Lambert will likely never be shook up from a bad practice again. 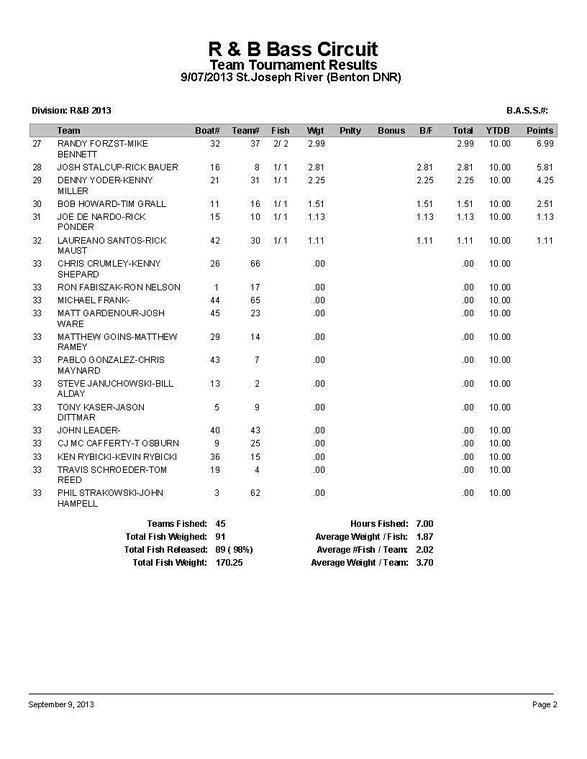 Like their other top 5 finish this year at Randall Lake, they never caught a keeper during two days of practice, but then proceeded to tag nine keepers during the tournament. Their best five weighed 8.21 pounds which awarded them $190. The channel had a concrete wall nearly 200 yards long and the team slung homemade crawdad colored jigs against the wall. Hillyer further explains, “The fish were just cruising. This channel was just loaded with shad. I mean, they were just everywhere.” They threw jigs because they could not get bit with a minnow imitating bait to work and figured throwing something different might be more efficient. 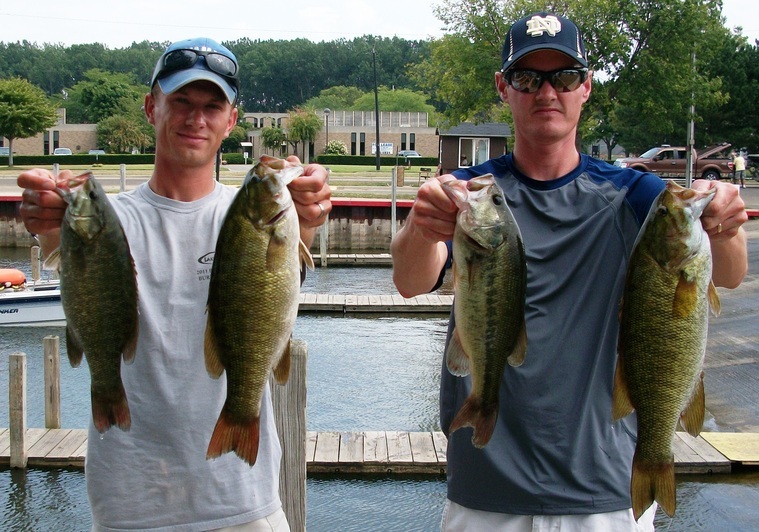 Their bag included four largemouth and one smallmouth. Surprisingly, they never saw another boat all day. 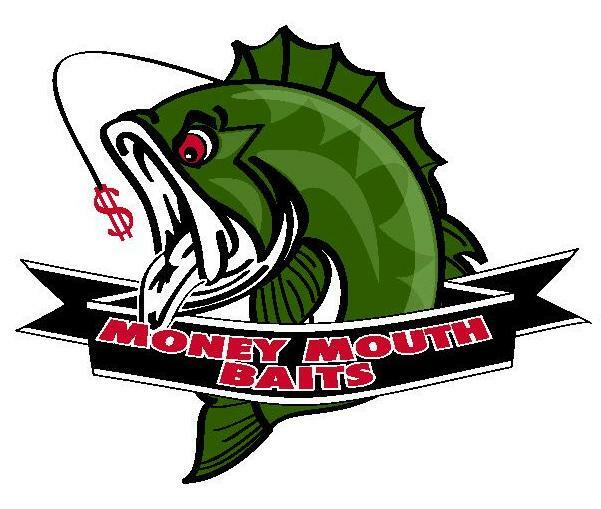 Money Mouth Baits Big Bass Award: The only fish Tom Montague (left) and Aaron Likens landed was a 4.44 pound smallmouth. This lone fish won them $360. Furthermore, if they are qualified for the Solar Bat Bucks, Solar Bat Sunglasses will pay for their entry into the Classic.They fooled it with a 4 inch green pumpkin senko on a drop shot rig. 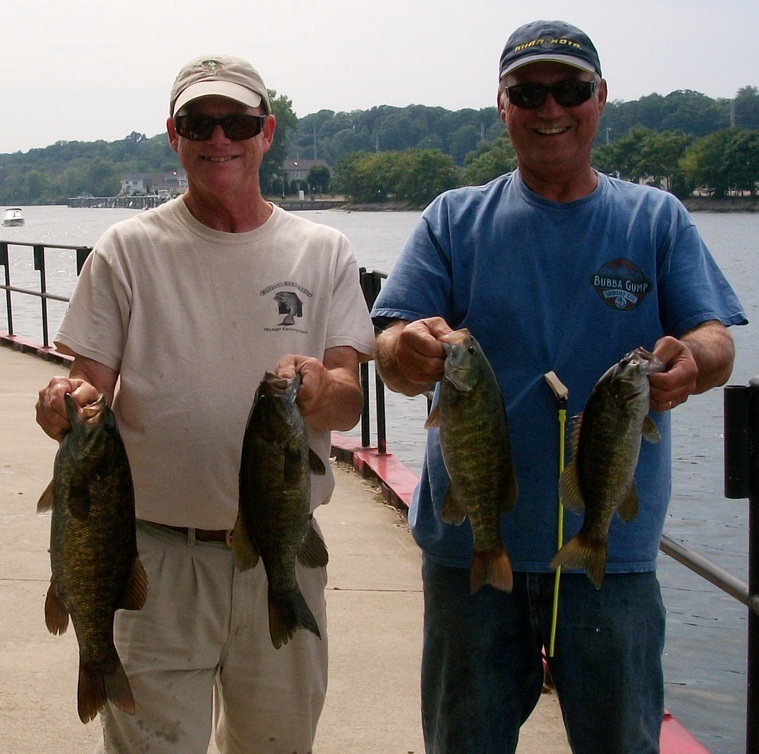 8th Place: The good guys that check the livewells at each event, Dennis Losee and Steve Prange (left) landed five keeper smallmouth that weighed 7.65 pounds. This won them $95. 9th Place: Walter Ettling and Donald Burress brought 7.16 pounds to the scales to reclaim their entry fee: $70. D's Award: A 7.16 pound limit won Bryan Seymour and Josh Honderich a tackle pack and t-shirts. 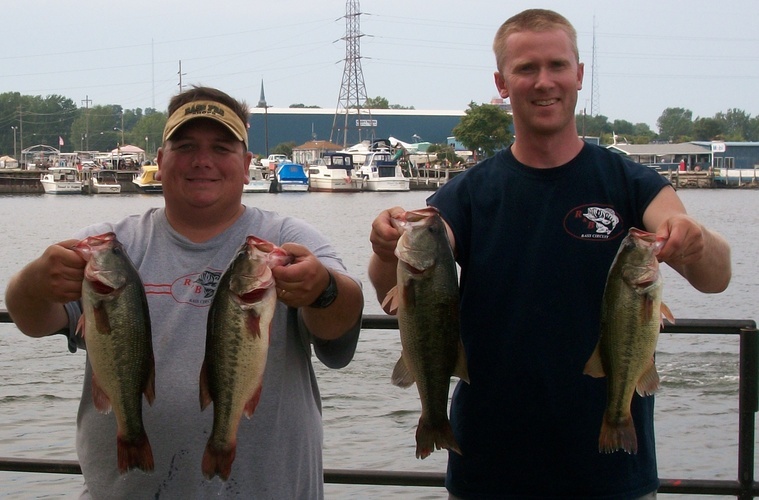 Optronics Award: It only took three fish weighing 6.23 pounds for Doug Roher and Dan Frederick to win $200 in prizes. 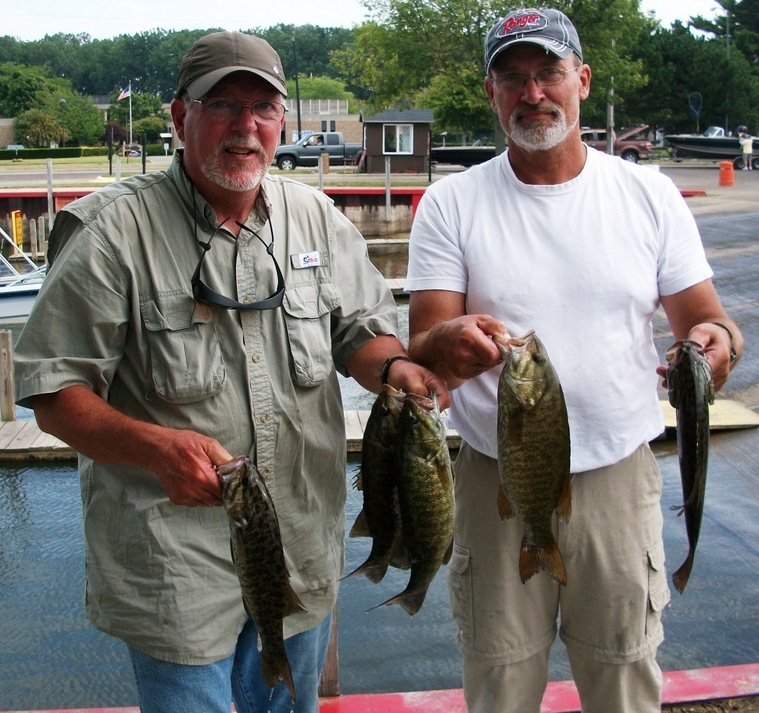 6th Place: Dave Terry and Larry Stanley (right) put together four fish that weighed 8.14 pound to win $166. 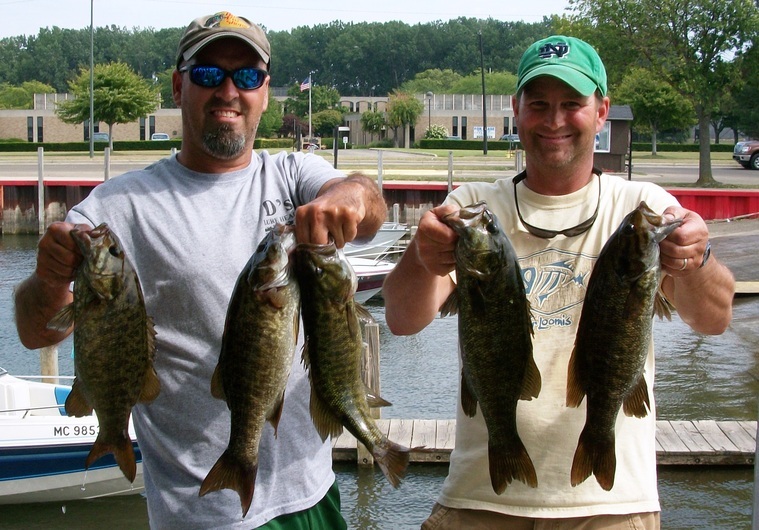 7th Place: Newcomers Mike Rappette and Ken Grossman also landed four fish that weighed 8.00 pounds. They took home $118. Starboard Choice Marine Challenge: The lucky number was 12. Charlie Compton and Daniel Powell weighed 5.41 pounds to finish at this spot, but did not have a sticker.